Home » blog » Space Planning Consultant or Interior Designer? Space Planning Consultant or Interior Designer? Many of our clients can find themselves in a bit of a quandry at the outset of a project as they are unsure of whether they should use a space planning consultant or a designer. These issues can be easily resolved by running through some basic questions. Do you have creative personnel on your staff that are capable, or want to be part of this process? Do management want to be part of this process or stay "hands off"? Do you have a clear idea or vision of how you want the space to work? Do you have more than 25 members of staff? Are you going through a major renovation or moving into a new prepared space? These issues really come down to scope of project, budget and how involved staff and management want to be. A space planning consultant is good if you have a clear idea of what you want to achieve and you, or your staff, want to be immersed in the process. They are good for smaller projects or when there is a particular spatial problem to be resolved. Space planning consultants tend to be cheaper than Interior designers. Interior designers are good for larger overall concepts when the company members want or need to be less involved with the day to day process. They are also ideal in more involved projects as they can help with architectural finishes as well as lighting schemes etc. 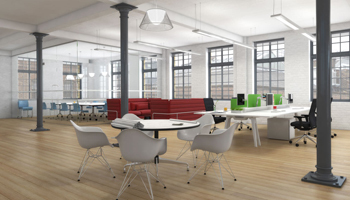 Working Environments Furniture are space planning and furniture consultants that work with a large number of designers on many larger projects. For small projects WE can work directly with you to help resolve the problems you are facing so contact us. For the larger projects WE would be happy to recommend an appropriate designer that suits your project requirements so give us a call and tell us what you are working on.